Every offseason, every team turns over a portion of their roster through free agency and the draft. The Dallas Cowboys have already experienced some of that turnover as they said good-bye to players that had been on the roster for years in Terrance Williams and Cole Beasley. David Irving was allowed to walk into free agency. There have been several additions to the roster to replace those guys, and with the NFL Draft coming, the Cowboys will continue to build the roster. Each offseason, I like to take a look at which players are already a lock for the week one 53-man roster. In year's past, I've found that about 38-42 of the 53-man roster are spoken for before the team ever takes the practice field. This year I've got 39 players already locked into the 2019 53-man roster. Obviously we can't account for injuries that can occur during the offseason training activities, minicamps, training camp, or preseason games. At this point, Dak Prescott is the only quarterback locked into their roster spot. The team likes Mike White and Cooper Rush and both will probably make the final 53-man roster as the team heads into week one. However, depending on how the roster has to be constructed, it's possible the Cowboys only carry two quarterbacks into the regular season. How he offseason and training camp goes will decide how many and which quarterback the Cowboys will keep heading into the regular season. If there's a severe hole on the offensive side of the ball at the moment, it's at running back behind All-Pro Ezekiel Elliott. If the Cowboys have plans on extending Elliott to a long-term contract, then they'll have to figure out a way to make sure Elliott's not getting 25-30 touches a game. At the same time, they need to find a running back who can be effective with 5-10 touches a game. Darius Jackson is an option at running back for the Cowboys, but there are players in this draft that can help them this year and in the future. In particular, Rodney Anderson or Justice Hill or really good options for the Cowboys in the fourth round or later. 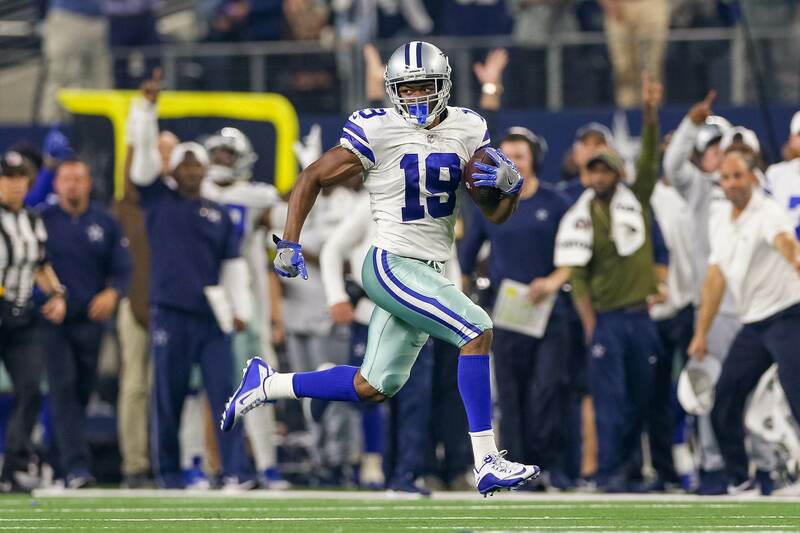 The Cowboys have a lot of depth at wide receiver heading into the draft, but outside of Amari Cooper, Michael Gallup, and Randall Cobb, there really isn't a lock on the 53-man roster. Tavon Austin, Allen Hurns, Noah Brown, and Cedric Wilson will all make a case for the roster, but depending on what they do in the draft, one or two of these guys could be off the roster. Tavon Austin's role will be determined by how much they decide to use him in the return game. In 2018, the coaching staff seemed reluctant to give him 100% of the opportunities to return punts. The Cowboys don't run a ton of 10-personnel, so seeing four wide receivers on the field will be a rarity. Austin will need to make his mark on special teams to call for a roster spot for 2019. Allen Hurns is only on the roster bubble because the Cowboys can get some cap relief by releasing him. If they don't take a wide receiver in the draft, Hurns will be on the roster. He's a solid depth piece on the outside and in the slot. Noah Brown is a valuable piece because of his blocking ability in the run game and play on special teams. While Brown does have two years left on his rookie deal, he'll have to make some strides this offseason to be seen as more than just a blocking wide receiver and opportunities will be limited. Cedric Wilson is everyone's 2018 pet cat, but a season-ending injury and the depth that they have on the wide receiver depth chart could prevent Wilson from gaining a foothold on the roster. The only question at tight end this year is going to be whether they draft a player to add to the depth chart. Jason Witten, Blake Jarwin, and Dalton Schultz will make the 53 this year. Rico Gathers is still trying to find his way in the NFL and if the Cowboys draft one, it clouds his status on the roster. This is a great draft for a team that needs a tight end. There are quality players that can be found in the first five rounds of the draft that can add some depth for the Dallas Cowboys. The signing of Cameron Fleming to be the team's swing tackle for 2019 is one of the more underrated signings of the offseason. With Tyron Smith missing time each of the last three seasons, Fleming may need to play a role this season for the Cowboys to compete for another NFC East division title. Look for the Dallas Cowboys to draft a player at some point to come in and compete with Fleming for snaps as the swing tackle. La'el Collins' contract expires at the end of the 2019 season so they could use someone to replace Collins in 2020. I've seen some talk that there will be a competition between Connor Williams and Xavier Su'a Filo at left guard. That may be true. 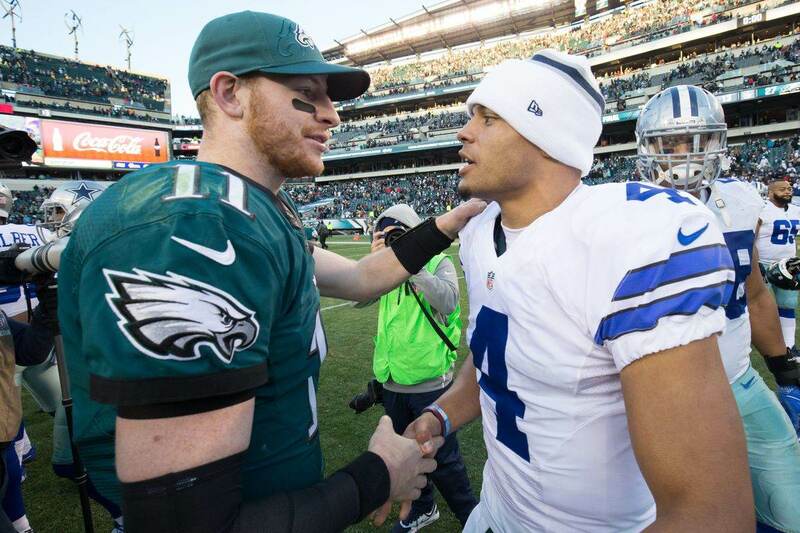 The Dallas Cowboys love to create competition, especially for their younger guys. However, the Cowboys want Williams to win the job. He'll get every opportunity to win the job in the offseason and in training camp. Connor Williams struggled with strength in the first half of the season, but over the second half played better. Against Aaron Donald in the game against the Rams, Williams was able to control him fairly well. Williams is on an upward trajectory and should be your starting guard when the Cowboys kick off the regular season. The question is going to be, how many guards do they carry on the 53? With Joe Looney's ability to flex over to guard in a pinch, he gives you the ability to go lighter at guard to carry an extra player at another position on the 53. Of all the things that happened this offseason, including trading for Robert Quinn, getting Travis Frederick back is the most important addition from the 2018 season. Joe Looney was good in 2018 and was a big reason the Dallas Cowboys were able to make the playoffs. As we saw in 2017, when the Cowboys were without one of their All-Pro players at another position along the offensive line, there are big drop offs from your starters to their replacements. From Frederick to Looney, there was a drop off, but he was good enough for Ezekiel Elliott to lead the league in rushing after playing only 15 games. If Frederick is back, then Looney will be the backup. If not, then having Looney around for another season helps with the offensive line continuity. If there's a part of the depth chart that is pretty well settled at this point, it's the defensive end position. DeMarcus Lawrence got his pay-day and after surgery will step in at left defensive end. Robert Quinn, who the Cowboys are paying at least $8 million to in 2019 will be the right defensive end. Taco Charlton hasn't shown much in his career to this point, but the Cowboys don't have to make a decision on him until 2020 offseason when they have to decide on his fifth year option. Dorance Armstrong had a really good preseason in 2018, but didn't really show much in his rookie year, but he has some very interesting skills that could help you at either defensive end spot. With Quinn's contract only for one season at this point, it's not unreasonable to expect the Dallas Cowboys to draft a player to prepare for snaps at defensive end in 2020. And that takes us to the biggest wild card, Randy Gregory. Currently expected to serve an indefinite suspension for violating the terms of the substance abuse policy, there is some optimism out there that Gregory could be around for 2019. But banking on Gregory for anything this season is likely a fool's errand. The Dallas Cowboys extended his contract to cover 2020, so the Cowboys are still hoping for big things from their 2015 second round pick. At this point however, he's anything but a lock to make the week one 53-man roster. The Dallas Cowboys interior played well for the most part in 2018. There were only two games where they got beat up on the interior. The Indianapolis Colts game and the Los Angeles Rams game in the playoffs. They came at poor times in the season and that's why we're seeing the Dallas Cowboys look into the 2019 defensive tackle class. Antwaun Woods and Maliek Collins need some help on the interior in the defensive tackle rotation and that's why the Cowboys brought in Christian Covington who played defensive end in the Texans' 3-4 scheme. He projects as a 1-technique defensive tackle for the Cowboys, but could get some snaps as the 3-tech as well. This draft class is deep in potential 3-tech defensive tackles in the second and third round, but given that it's also deep at wide receiver and tight end in the top 100, the Cowboys will have some decisions to make. With these three and Tyrone Crawford and Kerry Hyder, the Cowboys have a nice group of guys who can play on the interior. They don't have to draft anyone. I know this isn't really a position, but with how these two guys have played, it's hard to categorize either as an end or tackle. We know that Tyrone Crawford has been solid for the Dallas Cowboys at both defensive end and defensive tackle. He's averaged five sacks per 16 games over the last five years. He's not a great player, but he's a player you need to have to win football games. A player that plays the run well and can make plays in the passing game. Kerry Hyder is a really interesting player. In 2016, he had eight sacks before tearing his achilles in 2017. In 2018, Matt Patricia decided to play him at nose tackle in the Detroit Lions 3-4 scheme. Pro Football Reference has him listed at 270 pounds. Remember when we though Jay Ratliff was too small to play the nose at 290 pounds. Hyder will likely get snaps at both defensive end behind DeMarcus Lawrence and Robert Quinn as well as some 3-tech snaps Maliek Collins and rotating with Tyrone Crawford. 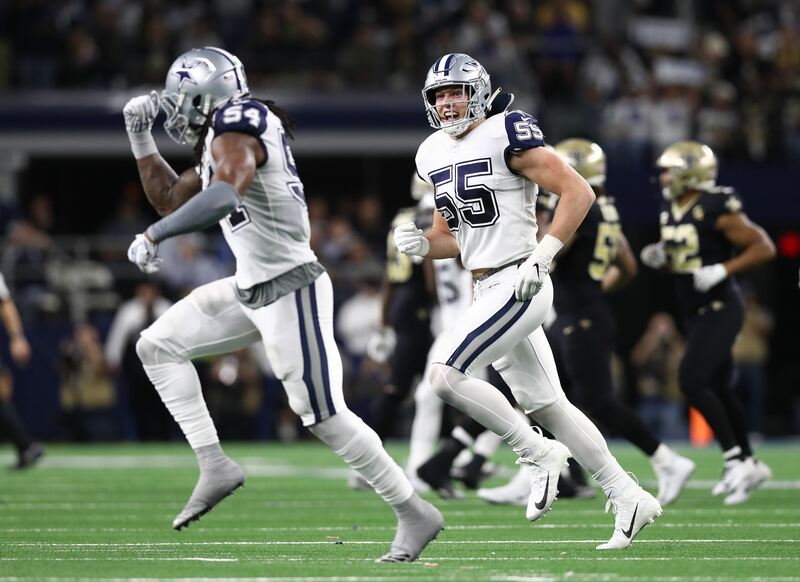 With the somewhat surprising return of Sean Lee, the Dallas Cowboys top four linebackers for 2019 is set in stone. Obviously injuries could change this, but if everyone's healthy, this is the group I'd expect to see leading the Cowboys in snaps for the 2019 season. Joe Thomas is a valuable backup at WILL and MIKE linebacker and a good special teams player. If there's a spot that there's a weakness, it's at the SAM or strong side linebacker position. Damien Wilson's departure for Kansas City leaves a bit of a hole there. Yes, he was bad in pass coverage, but he was a good run defender and blitzer during his time with the Cowboys. Those snaps need to be filled by someone. Perhaps this offseason, the Cowboys figure out a way to get Jaylon Smith, Leighton Vander Esch, and Sean Lee on the field at the same time. They'll probably draft someone, because the Cowboys love to draft linebackers. Look for Chris Covington and Justin March-Lillard to compete for the fifth and sixth linebacker spots. The only reason you don't see Jourdan Lewis' name out there is because he doesn't seem to have a home with Defensive Backs Coach Kris Richard. Lewis is a veteran player that could become a trade asset during or after the draft if the Cowboys find someone willing to pay for their fourth corner. If he isn't traded, he'll definitely be on the roster fighting for a role. Byron Jones had a nice first half of the season in 2018, but had some struggles at the end of the season. Chidobe Awuzie flipped the script on a struggling first half of the 2018 season and finished strong in the second half. Anthony Brown was solid throughout and continues to keep the more talented Jourdan Lewis at bay with his work in the slot. It's possible the Cowboys draft a player at Corner with Brown coming free after the 2019 season, but they could also go into 2019 with this group and play very well. Xavier Woods is going to be one of your starting safeties. George Iloka, Jeff Heath, and Kavon Frazier are each a solid rotational player. They bring a lot of value to your special teams unit. The thing that could upset the apple cart here is if the Dallas Cowboys spend a top 100 pick on the safety position. They have plans to bring in several safeties for visits before the draft, which means they will probably draft one in the top 100. 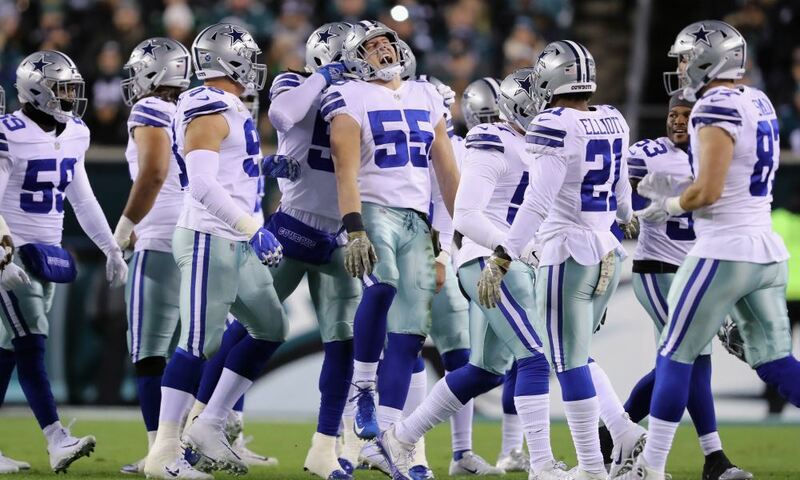 Afte the 2018 seasons they had, I don't think it's a guarantee that Brett Maher and Chris Jones are the kicker and punter for the Dallas Cowboys in 2019. Both players had good moments and bad moments for the Cowboys last season, so it wouldn't shock me to see them bring in some competition to push these guys for their roster spot. L.P. Ladouceur, however, is as much of a guarantee as DeMarcus Lawrence is at this point. As long as he wants to play and he's healthy, the Dallas Cowboys are going to keep bringing him back. Nobody ever notices the long snapper until something goes wrong. When was the last time you noticed L.P. Ladouceur?